Discussion in 'Reloading' started by Fullretard, Sep 30, 2013. I seem to be on a better path with my reloading lately. Once fired lake city brass. In my book brass is brass up until I get more precise/consistent with my loading procedures. Range rules 1 shot a second 20 rounds out of a 20 round mag. this is off a stack of sandbags and one round a second per the range rules. It is also after I heated up the barrel with some factory ammo. I am still piecing together bits and bobs for a consistent recipe but this hase been my most accurate to date. I have also had good luck with IMR 4198 but that is a pain and does not meter well. I am sure the gun is more capable. I have some H335 and some 77grain SMK HPBTs that I might try out. I really need to break down and buy a chronograph to get more scientifical other than random trips to the range. I am really holding off on using the 77grain SMKs until I find a chronograph. I will stick to 55 grain Hornady soft points until that point. What are the thoughts from the group? Plenty respectable for 20 rounds. Probably the most informative post on this forum in months, if not in years. Distance? I was assuming 100. 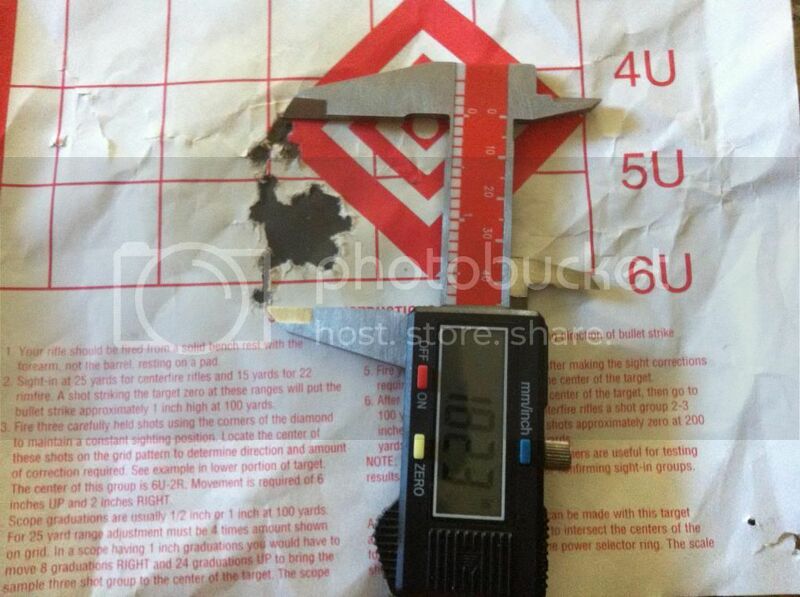 I use 25.0 gr of WC 844, which is supposed to be milsurp H335, with a 55 gr Hornady bulk packed FMJ or SP. The SPs will fail to feed properly on occasion, but that's due to the SP digging into the ramp. Even though it meters well, I tend to weigh the charges for less deviation. I've had really good luck with Varget and CFE223 for the .223. Is the cfe223 as clean as they claim? Do you notice a cleaner bore after shooting? I've been considering trying it. I've been looking for CFE223 too, but no one has it in these trying times. With .223, there's more soot than copper fouling regardless of the powder used. It takes me just as long to clean the barrel with or without the CFE. It is a pretty clean burning powder (and so is Varget). When I shoot CFE indoors, I can smell that faint odor of ammonia, which is what they're using to react with the copper and cause it to crumble. (Probably not ammonia, but an amine that is related to ammonia.) I get very consistent results from it, though I honestly haven't sand-bagged the rifle or put it on a sled to really demonstrate how tight is shoots. I loaded up some 55 grain and 62 grain bullets with CFE (I think 26.3 and 25.0 gr. powder, respectively) and some 75 grain bullets with Varget (24 gr.) and shot them last week. Good consistent patterns and no pressure or fouling issues.